While there are many causes to your spine being imbalanced causing pain and dysfunction, one of them can be coming from your feet! We spend a lot of time on our feet walking on concrete and hard surfaces and wearing non-supportive shoes. This can cause your arches in your feet to collapse giving you an unstable foundation for your body. 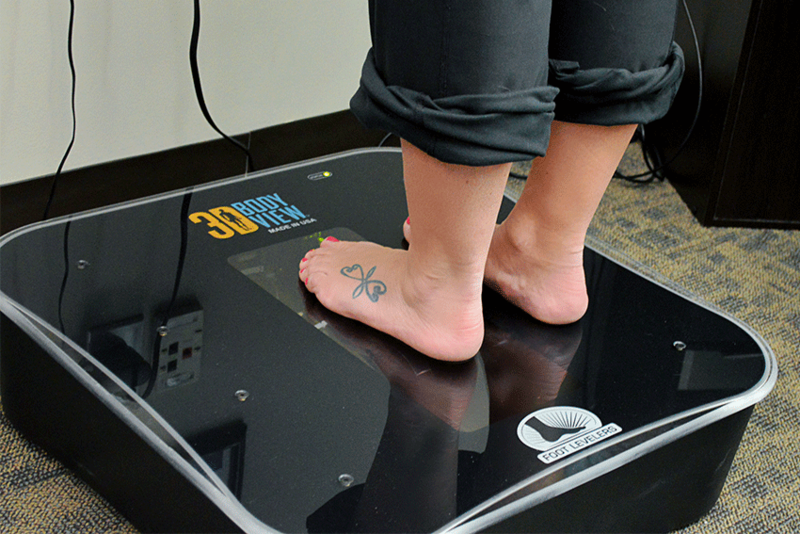 At Live Well, we utilize the Footlevelers 3D Bodyview technology to do a custom scan of your feet to evaluate if orthotics could benefit you. We send these scans directly to Foot Levelers, and they can make custom orthotics to fix any imbalances in the arches of your feet. Footlevelers offers a variety of orthotics to fit any shoes from tennis shoes to heels. You can also order custom sandals if you enjoy showing off your feet in the summer!